For the month of October, I participated in Inktober! It’s an art challenge in which artists create a new ink drawing for every day in October. 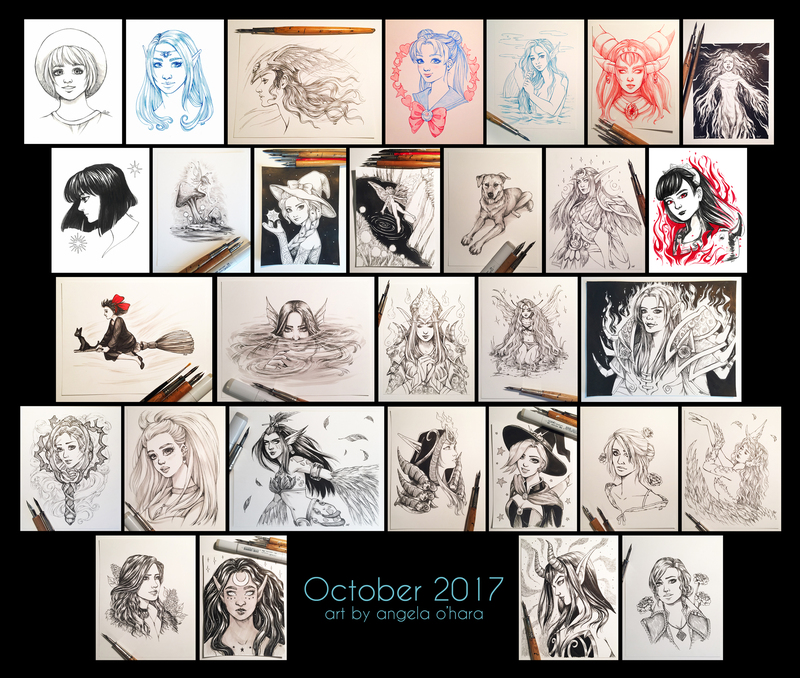 I’m happy to say I completed the month with 31 new drawings! I think there’s a noticeable improvement between my drawings at the start, and my drawings at the end of the month. My line quality is more confident, and my compositions improved. Unfortunately I had to put everything else on the backburner in order to get these done. Every night I spent up to 2 hours making new drawings, and I just didn’t have any energy or time left to work on other art. I’m looking forward to finishing the three things I had to put on hold, and get back to improving my digital skills!